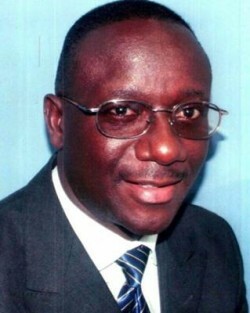 Reverend Arthur Magezi is Director of Christ Transformation Ministries in Kampala, Uganda. CTM’s mission is to see whole communities transformed by the power of the Lord Jesus Christ. Through the transformative power of God’s Holy Spirit whole communities change their focus from satanic ancestral worship to worshiping the one and only true God who is worthy of all our praise.With a new Kingdom of God focus people begin to experience the power of God working in and through them in practical ways. As a Christian ministry consultant, with a BA degree in Mass Communication and an MA degree in Christian Ministries Reverend Magezi teaches on many Christian topics. Additionally, he offers both pre-marital and marriage counseling to couples in need. One of his specialties is in the area of sexual education and coaching. He has been teaching on the sensitive subject of sexual intimacy for a long time in several countries of Africa. After interacting with many couples and studying much in the area of sexual intimacy he has written a book on this subject titled “Temples Aflame”. This e-book is a free offer to all, in order to bless the body of Christ. You can read more about Reverend Arthur Magezi and his work in Uganda as well as download his book for free at Christ Transformation Ministries. This entry was posted in Counselor Directory and tagged Counselor on February 3, 2014 by Jean L.
Please contact the counselor of your choice directly.